Here’s a taste of everything that had to happen before America could have the opportunity to crack open one of these now-year-round session beers, and then casually crack open another. Easy’s primary hop, Mandarina Bavaria, has a wholly unique aroma reminiscent of a “fresh orange off a tree.” It -- as well as the session’s complimentary, tropical-smelling hop, Hull Melon -- didn’t even exist until a few years ago, and only went into limited commercial production in 2013. The new cultivars didn’t arise out of the experimental fields of the Pacific Northwest, but instead were born in Hallertau, for centuries the epicenter of German hop production (and therefore global hop production). Daring new hops coming out of Hallertau is like a great rock band coming out of Juilliard -- you know those kids can play better than anyone, but you never expected to hear them playing this music. There’s a place in the tiny Hallertau village of Hull called the Hop Research Centre, and there’s a man in that place named Anton Lutz. In 2006, Lutz, whose primary focus had been making the plants more resistant to disease, started cross-breeding American Cascade with German varieties in an effort to marry the former’s fruitiness with the latter’s hoppiness. 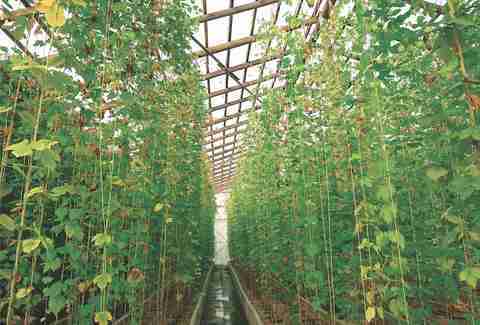 It was exacting work; in interviews, Lutz has estimated that 1 in 500,000 seedlings has a shot at becoming viable. Lutz must have arranged a lot of transatlantic relationships -- his matchmaking produced four new varieties, including Mandarina and Melon. Seeds don’t do you much good unless farmers are willing to plant them. 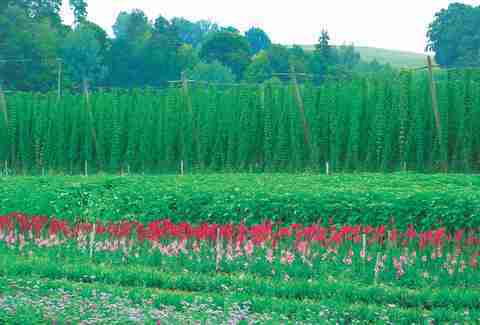 There are well over 1,000 hops farms in Hallertau, most of them surprisingly small -- 33 acres on average, whereas the average farm in Yakima, Washington is 450 acres. All the farms buy from the same source, but they’re not obligated to buy any particular seeds. That means a lot of individual farms, many of them operated by the same families for generations, had to decide, “Okay, we’ve been planting traditional German hops with peerless agricultural expertise since time immemorial, but I’m willing to take a chance on these crazy newfangled cultivars.” There probably isn’t a direct German translation of “newfangled,” but you get the idea. Brynildson had his “eye opening moment” when he tasted a Kolsch dry hopped with Mandarina Bavaria, made by Frankfurt brewers BraufactuM. For that taste to happen, then like the hops themselves, BraufactuM first had to be -- it’s only been around since 2010, when it emerged at the vanguard of a still-nascent German craft movement dedicated to infusing native know-how with new ideas from around the craft world. 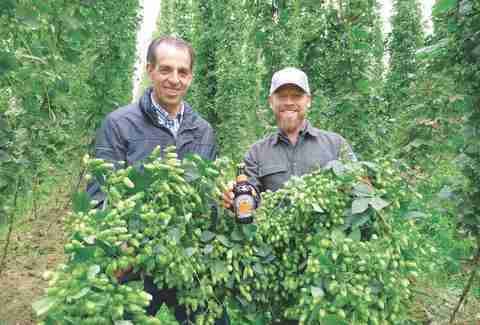 "In order to find these hops, it requires a connection to the grower, a meeting, a conversation that is good for both parties,” says Brynildson. The brewmaster traveled the Hallertau countryside, meeting Lutz and dozens of hops farmers and their families, whom he found surprisingly open to sharing ideas despite having a millennium head start on their American counterparts. Farmers need the security of a five-year contract before it’s worth it to devote the acreage. 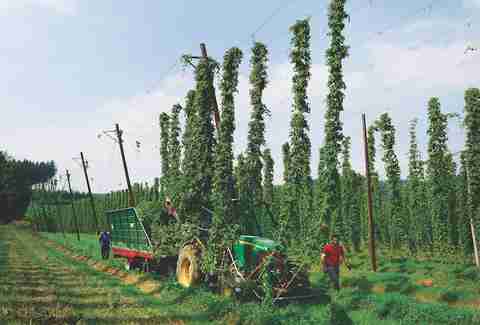 “If this guy backs out, some other American will wander into our village and buy them” just isn’t a great business plan for a small European hops grower. 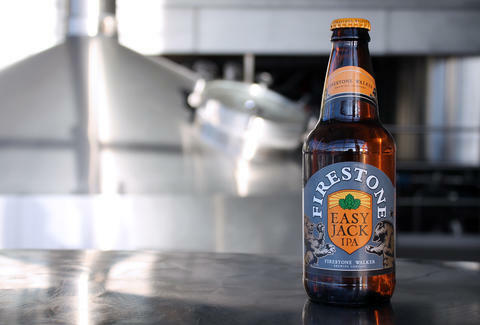 After Easy Jack’s initial release as a seasonal, Firestone Walker sold out of the stuff in eight weeks. Part of the reason was they simply ran out of Mandarina. 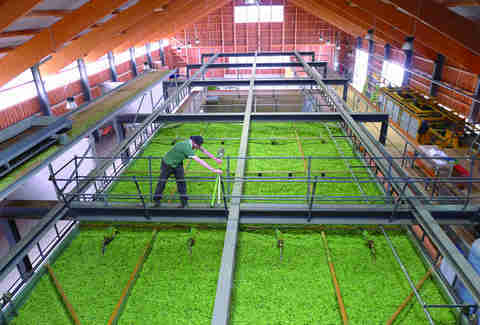 Here’s why: at the end of 2013, Germany had devoted less than 1% of its hops acreage to the new varieties. And thanks to lousy weather, Germany also experienced its worst growing season in a decade that year. Fortunately, the German harvest rebounded in a huge way in 2014, or year-round Easy Jack might not have been a possibility. Mandarina is Easy Jack’s defining hop, while Brynildson calls Melon the “rhythm guitar.” But Firestone Walker always uses a variety of hops for depth and balance. 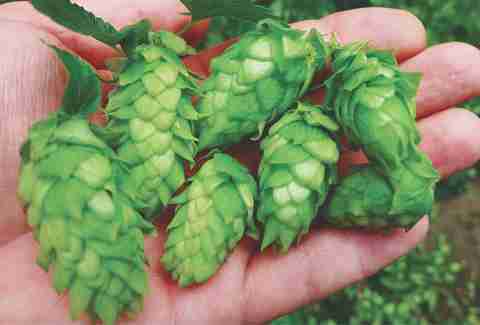 American Mosaic, Citra, and Amarillo were procured fairly easily, but Brynildson also wanted to add Nelson hops from New Zealand, which are as scarce as the German newcomers. To get enough Nelson hops to fuel that first run of Easy Jack (well, almost fuel; the beer’s sales basically depleted the world supply, which also contributed to them having to halt production), the Paso Robles men had to trade an equal amount of Centennial and Amarillo to NZ’s 8 Wired Brewery. Brynildson calls it the most complicated transaction he’s ever made, and should clearly be running an NBA team. Session beers are designed to go down without a fight, but brewing a good one can be a struggle -- you can mask a lot of mistakes with crazy-high IBUs and ABV (Easy Jack’s just 4.6%). “It’s harder to create a beer by taking a minimalist approach,” says Adam Firestone. “Our anniversary beer, Parabola, a Russian Imperial Stout, was 14% ABV,” recalls David Walker. “Making that beer is like selling tickets to a Phish concert -- it hits the market and it’s gone in three weeks.”In a climate like that, there’s no guarantee everyone will go gaga over your session.